Circumstances: Atiya has been missing since 06/11/2009 when she was nearly 3 years old. She was taken by her father on holiday to Pakistan, he has since returned and now her whereabouts are unknown. 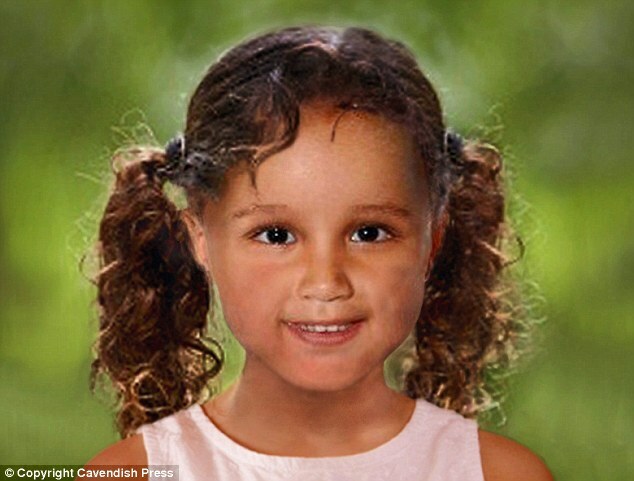 She is described as having brown eyes and black hair. Anyone with any information about where she might be should contact the NPIA or Greater Manchester Police. Missing since 6 November 2009. A ‘cynical and cruel’ Rochdale dad has refused to tell his estranged partner where their daughter is – despite being jailed for his silence. Razwan Ali Anjum snatched little Atiya Anjum-Wilkinson on her third birthday. The 26-year-old father, of Queensway, claimed to be taking the toddler to the seaside - but instead took her to his native Pakistan. He then called her mum Gemma Wilkinson and said she would never see her daughter again. Anjum was jailed for two years by a High Court judge for refusing to tell police where Atiya is - an act described as 'deliberate cruelty'. 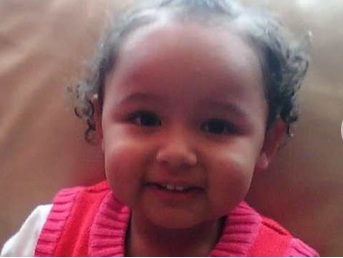 Now 12 months on Gemma, of Tameside, has begged to be told of her daughter's whereabouts. She said: "The past year has been an absolute nightmare. "It comes to something when a mum has to ask whether her child is alive or not. "With the lack of information you just imagine the worst and I've had no information and no contact with her for a year. "The last time I saw her was the day before her third birthday last November. It must be so scary for her." Two civil court orders were made in December last year ordering Anjum to disclose the address in Pakistan and return Atiya. But the High Court found Anjum supplied false information and wilfully breached the orders - by smuggling Atiya across the border to Iran on false documents. He told the courts that Atiya is now living in Tehran with his current girl friend Anna Kordamaljeni, who also cares for his son from a previous relationship. Anjum repeatedly failed to comply with the order and instead demanded mediation meetings with Gemma to discuss Atiya's future care. Judge Justice Mostyn jailed Anjum in June for two years for breaching the civil orders - the maximum sentence he could impose. Gemma said: "I've feared for Atiya's safety since the day he told me I would never see her again. "Without him being truthful, I don't know if she is alive or dead. The courts have done every order possible and the police can't help. We're just left waiting with nowhere to turn to. "He has control over the whole situation and that's the worst thing. It's all in his hands - if he doesn't want to let us know then he just won't tell us." Jailing him, Justice Mostyn told Anjum: "I regard this act of abduction as being of the very worst nature. "I have been doing this work for over 30 years and I have not read anything so cynical and cruel in its content as this." Justice Mostyn made another order that Anjum reveal the whereabouts of Atiya in Iran. If he refuses he will face further committal proceedings and on release will be at risk of a fresh committal summons. He added: "The court is not to be trifled with." I hope the Judge sticks to his threat to jail this father each time his sentence is served until he gives the correct information which leads to the return of of Atiya. Atiya is still listed as missing. Atiya would be 5 now. The distraught mother of a missing girl kidnapped three years ago wept yesterday as she told of fears she may have been sold on the black market in a child trafficking racket. Former charity worker Gemma Wilkinson, 32, from Ashton-under-Lyne, Greater Manchester, has not seen little Atiya Wilkinson since her third birthday in 2009 when she was snatched by her father in a spiteful act of revenge during a planned day trip to the seaside. Despite a global inquiry spanning three countries, the youngster has not been heard of since and now it is feared she may have been sold by her father to another family living in Pakistan or Iran. Anjum returned to the UK less than a fortnight after he flew out and is now serving a fourth consecutive jail term for contempt after defiantly refusing to reveal Atiya’s whereabouts - dismissing Gemma as 'only a birth mother'. Today on what would be Atiya’s six birthday Miss Wilkinson sobbed as she pleaded for information about what happened to her daughter. 'I pray she’s okay but we don’t have any proof that she’s okay and no proof she is even still alive,' she said. 'It’s been discussed that she could have been sold, but I don’t want to believe it. 'As far as I’m aware she hasn’t been with any family member so I can only assume she’s with strangers. Gemma met Anjum in 2003 while they were on the same college course at Oldham Business Management School and Atiya was born on November 7, 2006. But Gemma ended her on/off relationship with Anjum in 2008 due to him being possessive and controlling and he swore revenge on her. During an access visit on the youngster’s birthday he said he was taking Atiya to Southport but instead, he took her to Lahore where he claimed she was staying for a week with relatives. Atiya was supposed to share a flight with her grandmother on November 16, but the grandmother came back alone. Anjum himself returned to the UK on November 20 without his daughter and he was subsequently arrested. He claimed he handed Atiya to a mystery man called Khan and taken to Iran but an address for the shady Mr Fixit proved to be false. Gemma said: 'It’s been an absolute nightmare. When I close my eyes I see Atiya. I say good night to her every night before bed. 'I just want Atiya back home but her father’s just not prepared to back down - he’s not prepared to work with the police. He’s enjoying playing his controlling mind games. She added: 'We haven’t celebrated her birthday since she went missing but I’ve bought her presents each year - they are waiting for her to open when she comes home. 'On the day she went missing she was due to spend some time with Razwan. She was picked up by her uncle and taken to go see him. She was due to come back the next day and spend some time with her family opening presents. 'I had no reason to believe that she was at any risk. There had been a standard routine, there hadn’t been any problems with the arrangements. I really don’t know where she is. 'It looks as though she’s still in Pakistan. Razwan is refusing to say where she is, who she’s with and he won’t say anything other than she’s in Iran yet originally she was in Pakistan. 'He won’t give the actual location of where she is. He’s doing this because he has control over me. He had sent abusive text messages after our relationship ended and the last control he would have had over me was to hurt me through Aitya - he knows she’s everything to me. 'I think he would be boasting about what he’s doing in prison, to make himself feel good about the control he has over us. I would do anything to get her back. I just want to know where she is, how she is,' she added. 'We’ve been trying to arrange meetings with his family but they don’t want to communicate with me. 'The police have tried to ask them for information, but they aren’t willing to cooperate. I don’t know any of his family over in Pakistan. 'I think someone in the community around the family knows something. I’m hoping the information that is known could be given so we know Aitya is safe, we know she is alive and that she’s at least settled. Ajum, who has a son from a previous relationship, has been the subject of several civil court actions ordering him to disclose where Atiya is but he supplied false information. He was initially jailed in June 2010 for a maximum two years at the Family Division of the High Court but has subsequently been given three more jail terms the latest imposed in March this year. One judge said it was the most 'cynical and cruel' form of abduction he had dealt with in his 30 year career. 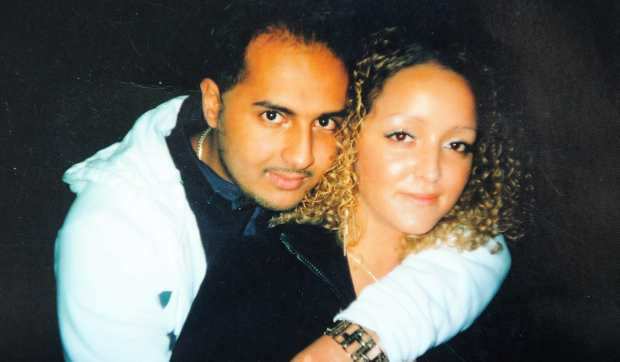 Det Con Emma Constantine of Greater Manchester Police said: 'As far as we know, Razwan has had no contact with Aitya himself. 'He’s never received any letters or photographs of Aitya. So there’s no way that he knows how she is. 'We’ve been to see him a few times. He maintains the facade she’s in Iran, but there’s no evidence to support that so we’re very sceptical. Supt Phil Owen said: 'We’re working with a range of international agencies in order to find out who may be harbouring her but it presents its challenges and problems and hopefully this is now the time to tug at heart strings and generate information from the public. 'We haven’t got any evidence to know she’s even alive. This is the only way he can exert control. The girl's father abducted her in 2009, took her to Pakistan and reportedly told her mother she would never see the child again. Missing six-year-old girl Atiya Anjum-Wilkinson is reportedly on her way home three years after being abducted by her father.